Craving crispy apple pie? Well you can have the next best thing in under 20 minutes! Place water and sugar into a saucepan with the apple, and gently bring to a boil. Once boiling, turn down to a simmer and cook the apple for approximately 5 minutes or until tender. Cut the puff pastry into halves and place one piece onto your jaffle maker that has been sprayed lightly with cooking spray. Place the apple evenly over the pastry (leaving a slight boarder around the edges so it can seal) and sprinkle with cinnamon. Place the other piece of puff pastry over the top of the apples, and carefully close the lid. Cook for approximately 5 minutes, or until the pastry is golden and crispy. Great idea. Thanks for the recipe. This is so clever! Love it. What a clever idea …something I had not thought or heard of. And they look absolutely divine. Ooh, I’m thinking my hubby will absolutely love these and think I’m some kind of genius wife!! Oh yumm, what a fab idea! Oh delicious! I never thought to make them in the jaffle maker! I think i will dream a bout your apple pie in bed tonight and I will have it for breakfast ???????????? Thank you for this easy recipe. Going to give this a try with pie apple as a few tins in cupboard. 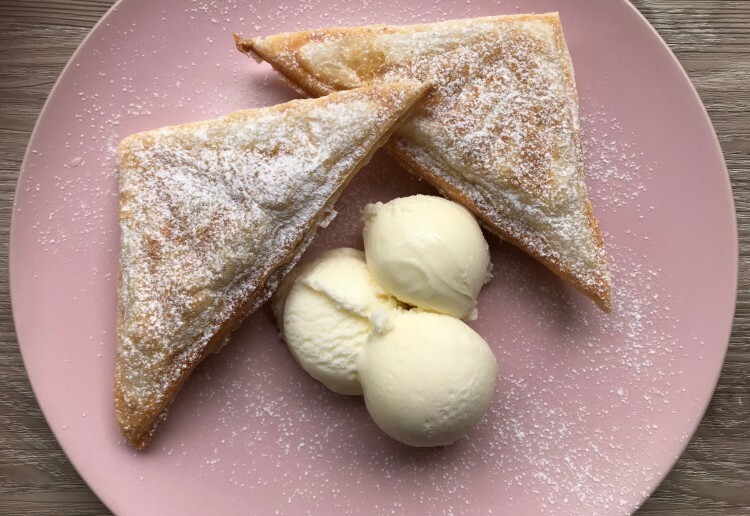 Love the idea of sweet jaffles! Great! It looks exquisite! What if you don’t have the jaffle maker? Can you just bake them in the oven then? I often use my oven for recipes – I just modify and adjust. Both ways sound so yummy! Thank you so much for your answer. Could I hire you as my personal chef?? ?